The mission of the Center for Undergraduate Research and Scholarship (CURS) is to promote and support research, scholarship and creative activity at the undergraduate level. From the very beginning, CURS has made great strides to see that members of our undergraduate population are afforded multiple opportunities to advance themselves in both a creative and scholarly fashion. 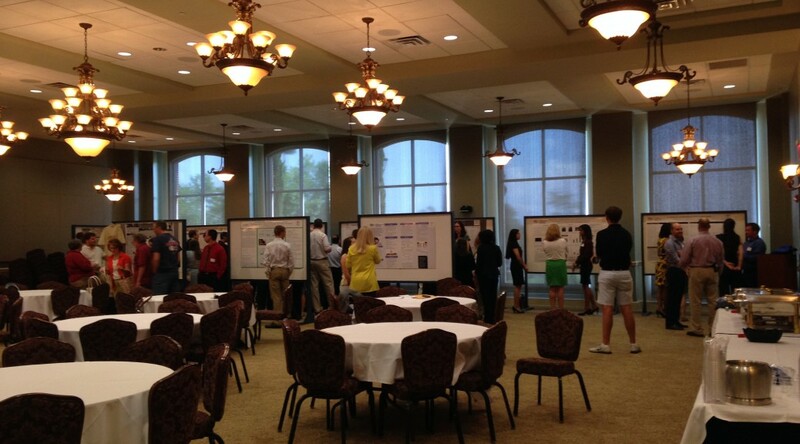 One way they’ve accomplished this is through the hosting of Brown Bag Research Seminars for undergraduate research. These seminars, hosted on select Fridays throughout the semester, give students a chance to flex their research muscles and show off their hard. Each session will be held at 1 p.m. in the JSAC Ballroom. Free pizza will be provided for every event, but guests are also welcome to bring their own lunches. 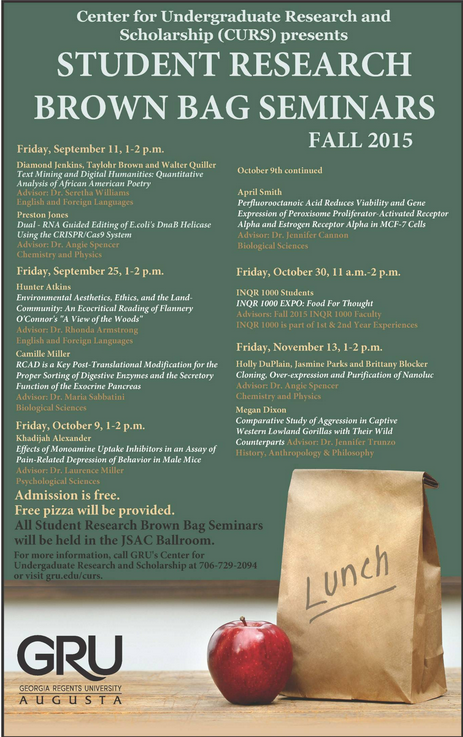 For more information about CURS Brown Bag Research Seminars, call the Center for Undergraduate Research at 706-729-2094 or visit gru.edu/curs. 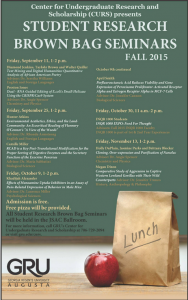 To view a listing of upcoming Brown Bag Seminars, click the flyer above.